Unique, One-of-a-Kind handbag creations is what today's feature shop is all about. Miss Pretty Perfect Handbags makes designer leather handbags that are all original and handmade for each to be unique and one of a kind. The shop is ran by La Toya, who has had a passion for fashion every since she was a little girl. She's a two-time graduate in fashion design and has a BS in Fashion and Merchandising. She's learned from the best, and is now offering the products of all that knowledge and talent on Etsy! 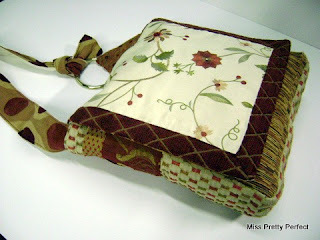 The Miss Pretty Perfect line of handbags are made of Upholstery Fabric patchwork and leather combinations. 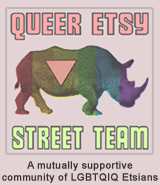 TO VISIT MISSPRETTYPERFECT'S SHOP YOU CAN CLICK THE PICTURE ABOVE OR, IF YOU'D RATHER, CLICK RIGHT HERE! wow, her handbags are awesome!! Great shop!! Thank you so very much for this feature! It is wonderful that you all take the time to inform your audience about other artist. I love it and I appreciate you both!